In the pursuit of local talent using technology in innovative ways, we got in touch with Grant Waterston of Waterston Entertainment to discuss their interactive media app - MovieRide FX. 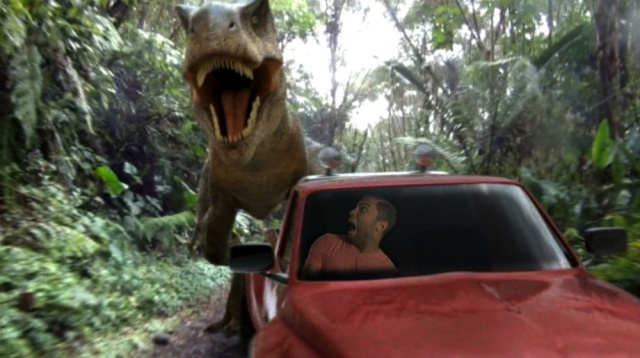 Waterston has more than 25 years experience in the photography and film industry, and began MovieRide FX in 2010, as he aimed to to bring more immersive content to user's mobile devices. He provided us with some great insight into the inspiration behind MovieRide FX's creation and what the future holds for this burgeoning technology. TechSmart: What is MovieRide FX? Grant Waterston: MovieRide FX is an app available on Android and iOS platforms that allows the user to be ‘in’ the movies, via a unique patent technology that’s pushing the boundaries of digital video image manipulation on mobile devices. The user downloads the free app and selects a movie template (the movie they’d like to star in) from the apps ‘storefront’. After a few seconds in front of the camera, and thanks to the MovieRide FX technology, the user is integrated (tracked, layered and composited) into a scene - not just pasted over it. This is complete with sound effects, music, and special effects, but most importantly: starring themselves, ready to share with the world. What was the inspiration behind the creation of MovieRide FX? I'm a filmmaker by profession and loved making small movies with my kids as much as they loved being the superhero seen doing amazing things. I was flying back from a production one December and I needed to find some more freelance work to get me through the holidays. I had the idea to set up a kind of ‘photo booth’ concept at the shopping centers where anyone could be placed into a movie scene. It was at my son's 9th birthday party where I created a space battle scene, where each of his friends at the party could go home with a DVD of them flying in a space ship. They all loved it! I thought it would be great to simplify the technology and make this experience accessible to everyone via a web site or perhaps even a mobile application. 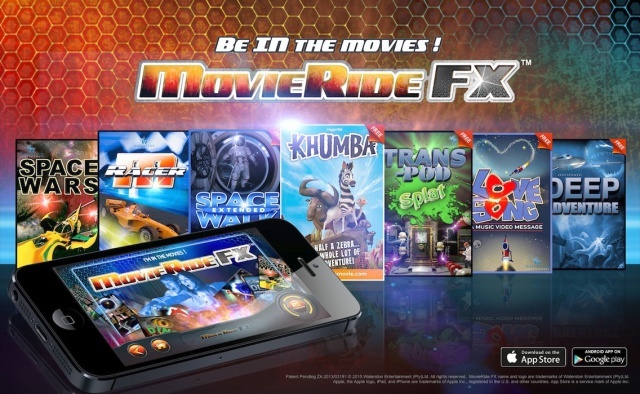 Waterston Entertainment took about two years to develop MovieRide FX for both Android and iOS platforms. One of the biggest challenges was to find the right people who could create and develop this type of video compositing tech and marry it with the creative. We approached Johann Mynhardt, a friend and extremely talented special effects artist and programmer, and asked if he thought this could be done. A few months later Johann had built a working cloud-based Android prototype and a year later we launched our first Beta Test Version on Google Play with all the video compositing and processing happening on the device itself. Johann and I eventually met up with Ferdie Danzfuss, who re-engineered an amazing iOS version, which took another year of development. An added challenge was that South Africa was not on the Google Play Merchant List and so no revenue from paid apps or in-app purchases could be made into South Africa. To my knowledge, this status remains the same. An offshore company and bank account had to be set up in order to receive Google Play revenue. What were the biggest challenges when creating the app? The video compositing tech in the app is complex, a major technical challenge was the large number and variety of Android devices and how each device initiates its own camera, the screen resolutions and recording resolutions. This is an aspect that is constantly being worked on with Google and the many device manufacturers themselves. MovieRide FX is constantly evolving with innovative optimization and creative enhancements, but after four years, an international patent, two trademarks and many, many versions on both Android and iOS, we’re ready to start marketing. What has the public response been like, and have your updates addressed any user-identified issues? ● A Google “Top 10 new tech idea”. ● Award winner in the New Media Category at the Accolade International Awards in Los Angeles. ● “Top 150 Start-Up” award at the Pioneer Festival in Vienna. ● Nominee and finalist for “Best Entertainment App” and “Most Innovative App” at the Appsters Awards in London. With no end-user marketing whatsoever and the official versions only recently released, we’re heading towards 200 000 downloads on Android and around 20 000 on iOS, to date. In the entertainment category we’re in the top 100 in one country, the top 500 in two countries and the top 1000 in four countries, and gaining, with the U.S. and Europe leading the download volumes. Marketing is vital in order to create awareness and for the app to be ‘discovered’ and stand out amongst the millions of other apps out there. We have a great app but unfortunately don’t have the marketing budgets that the big gaming app developers have. With no available route to market funding, we have to be very strategic with how we market. Positive reviews have provided us with a 4.5 star rating on iOS and heading for a 4 star rating on Android with the new update release, which will address almost all the various device camera issues we experienced in the initial stages. Support is vital and we have a great support service set up for users to communicate with us and report any issues. We see Khumba is one of the films that features in MovieRide FX, what other films/content are you aiming to add in the future? 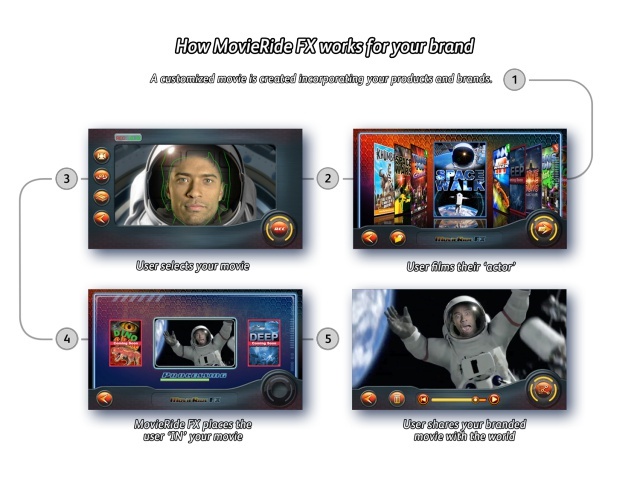 We constantly looking for brands, products or content owners that feel they can make use of MovieRide FX as a new media marketing tool to reach more consumers or create a unique brand experience for their existing consumers. Their content becomes a viral marketing tool as the users share their ‘movie’ via social media channels. Waterston Entertainment is currently speaking to Disney about licensing existing content from their properties. The Disney U.K. consumer products division feels that this has great marketing potential. Can you explain some of the enhancements to MovieRide FX you’re looking to add, i.e. Clip Compiler, Dual Pass and Auto Keying? We have a grand vision for MovieRide FX, which will see the app pushing the boundaries of video compositing on mobile devices. 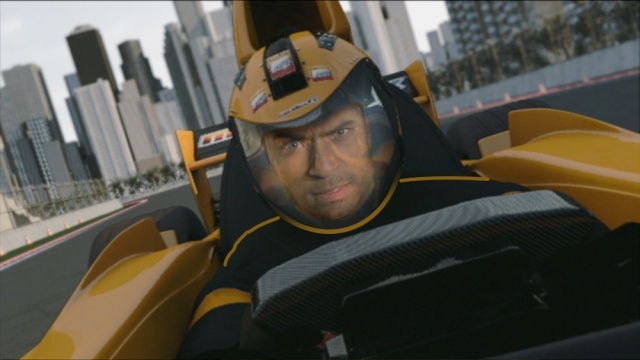 The Clip Compiler will provide the user with additional editing capabilities while Dual Pass and Auto Keying will bring cutting edge special effects technology to the users fingertips, offering them more creative freedom and realism in how they can be integrated into the movie’s environment. This will create an enhanced user experience and allow the development of more dynamic and creative content. With the exception of the video e-card opportunity in the UK, what exciting developments is Waterston Entertainment working on? Over the last two years we’ve been awarded space at the Apps World Expo in London by the organisers, allowing us easy access to international contacts, advice and expertise within the app industry. The potential of our patent also opened the door to the possibility of licensing our tech to other brands or content owners for their own use. After attending the Licensing Expo in Las Vegas and the Brand Licensing Show in London, Waterston Entertainment has secured a licensing agent for the United States, and doors have opened to content rights owners such as Warner Brothers, Disney, MGM, Universal, Mattel, The Equinox Group, amongst others. Waterston Entertainment met with Disney U.K, DreamWorks U.K. and Hasbro with regard to consumer product marketing and the development of campaigns in Europe.